One of the students I have been working with lately on improving her learning made a comment the other day, out of the blue, which clearly came from her heart. She said that she realised that her attitudes and beliefs around learning English are as important as her language learning. She said that she is going to have to change them if she is going to get better results. Nothing could be truer. So many times I have come across language learners who are despondent about their progress and are not too positive about the results they can attain. Until that attitude is turned around, and that is what I work at with them, they will not be looking for the breakthroughs, excited by their mistakes and looking forward to what they can master next. Instead, they will be finding experiences that confirm their beliefs about their failings and just how difficult it is learning a language. They will be finding excuses to justify their experiences and difficulties, rather than seeing them as another opportunity to find a way forward. Beliefs are formed from our experiences and settle in, often too quickly, having us think that because we struggled we are no good at something. If we don’t turn this around by our thinking or what else we do that soon will become a part of our persona. The reality is we all start off being “no good” at whatever we start to learn. If we continually struggle, all that means is that we have not found a way to learn what we need, NOT that we are incompetent! Coming at this another way, I don’t know if you have ever had a picture and tried different frames with it. Some frames will accentuate and highlight the beauty in the picture and others can hide and overwhelm the beauty. Our experiences are exactly the same, the frame we put around them can bring out their potential or make them heavy and painful. It’s how we view our experiences which will determine their power over us. let’s put it another way. Every stick has two ends. You can grab the end the painful end or the end that shows you little or no hope, or you can grab the end that shows promise and a way forward. It is our choice whether we wish to grab this end or that! Have a look at my post on mistakes. Mistakes are a good example of how something we do can be viewed as something to be feared and avoided or something that can be welcomed and embraced. The difference that can make on our language learning is profound. 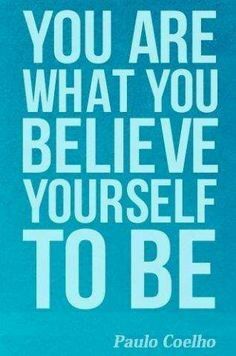 Our beliefs play an integral role in our lives. The sooner we understand that and use them to aid us, rather than let them constrain use, the sooner we will be able to master the process of learning languages.